Last week we looked at Event Fork Pipelines and explored the security model of Lambda. This week, the Serverless Framework goes Enterprise, we look at some serverless security trends, and share more great content from the serverless community. Plenty happening with serverless this past week, so let’s get right to the good stuff! I’m a HUGE fan of the Serverless Framework, and the new features launching with the Serverless Enterprise Framework are a great addition to help make deploying serverless applications easier AND safer. Insights, Secrets, and Safeguards, are three very useful services (that I’ve seen first hand) that should streamline your serverless development process. Also a huge fan of Elasticsearch, but even when using AWS’s managed service, there is still the issue of provisioning. Vizion.ai is trying to change that by scaling ES automatically and bringing the cost down using some sort of innovative caching. Serverless Elasticsearch would be a useful addition to the ecosystem. 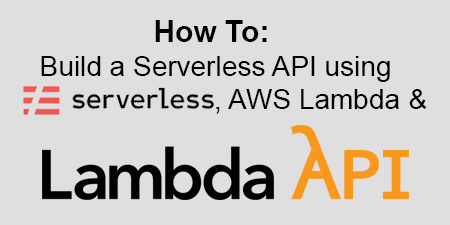 Yan Cui teamed up with Lumigo and created a Serverless Application Repository service called Lambda-Janitor that will clean up all those old deployment packages to keep you under the limit. There are a lot of people building content management solutions with serverless, and Yi Ai is joining in the fun. A CMS is a great use case for serverless, especially given the extremely infrequent computing power needed. 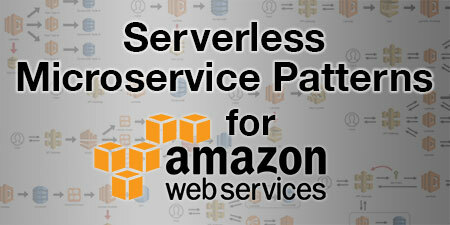 Paul Swail has another installment in his Migrating a Monolithic SaaS App to Serverless series. This time he’s building out a CI/CD pipeline using AWS CDK to configure the infrastructure. It’s perfectly plausible that you’d need images (or other files) uploading from remote devices, Sandip Pradhan will show you how to do it securely. Jeffery Hammond from Forrester Research gives an excellent interview explaining what serverless is and why it is so important. If you need to convince your boss that your company should be adopting serverless, point them to this CIOReview article. It’s a nice little executive summary that lays out the benefits in just a few paragraphs. There are a lot of “serverless” offerings out there, but the big three are still dominating the market. This piece by Chris Moyer lays out some of the differences between them. If you like comparisons, check out Yan Cui’s piece that looks at how the open-source Nuclio project compares to Lambda. Yan recommends exploring Nuclio if you are looking for a serverless platform that isn’t tied to a specific cloud provider. I say, RIGHT NOW! But according to Chip Childers, serverless is still in the “pre-chasm” phase, which means best practices and tools still haven’t evolved yet. While I believe that is true to some extent, the market is catching up very quickly. Kurtis Kemple is realizing the power that managed services stitched together with FaaS and frontend frameworks can bring. Tom McLaughlin of ServerlessOps also had an “aha” moment when he realized he could wire PagerDuty directly into CloudWatch and didn’t need to write (and support) more code. Take a look at your serverless functions and try to figure out what doesn’t need to be there. I bet there’s more than you think. If you need to compose several reusable functions together, AWS Step Functions is the way to go. Jay Dadhania gives a great overview and walks you through setting up workflows to pass your state from step to step. Serkan Özal goes into an insane amount of detail trying to reduce Java cold starts in Lambda. If you’re a Java shop, more power to you. My advice if you’re going serverless, switch to another language with lower start up times. Static sites with serverless backends are all the rage, and rightfully so. Stefan Judis has an in-depth post that takes you through the process of connecting all the pieces. We’ve highlighted many ways to run cron jobs in AWS in the past, some more complex than others. Henry Williams lays out a simple process for you. Mohit Cheppudira shows you how to build a full-blown (reliable) serverless application using Google Cloud. In this podcast, Doug Dooley makes a great point about the number of serverless APIs being published, likely unbeknownst to the enterprise. With developers having the ability to launch more services without needing support and guidance from a traditional Ops team, it does beg the question of how we should be keeping track of all these things. Great piece that lays out a serverless security model based on a validated and battle-tested reference architecture. 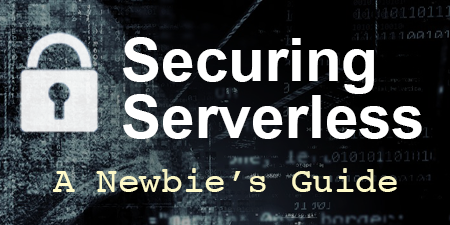 Definitely worth taking a look at if you’re interested in serverless security (as we all should be). Local Policy Updates let you use the PureSec CLI tool to fetch the latest security policy and enforce it on your function during the CI/CD process, eliminating the need to to call the PureSec service at runtime. This SiliconAngle story recaps last week’s AWS Summit, and gives a good summary of why AWS is continuing to focus on cloud security. It’s important to understand security controls available within DynamoDB, and this piece Sai Sriparasa and Prahlad Rao outlines best practices, and shows you how to perform audits. Here’s how the Fender engineering team built out their new Fender Play service using AWS and serverless. It focuses on the build process, but there are some interesting takeaways in here. Thinking about running a ServerlessDays conference, or maybe just going to one? This is a great look at just how much has to happen to put on one of these incredible events. Adam Clark lays out how his team load tested their serverless applications (and legacy applications) using Serverless Artillery in the lead up to Red Nose Day 2019. In this post, Adam Clark gives a run through of the debugging, alerting and tools used to provide insight into their serverless applications. Eugene Cheah explains the title of this post. Riccardo Ferrazzo wanted to be the “good son,” so he built his mother’s business a serverless e-commerce site. Here’s what he learned. Kerri Rapes lays out the details of the Lambda concurrency model and why you should care. Some more details on cold starts and a few ways to optimize your code to minimize them. What does AWS-SDK v3 mean for node.js Lambda? TLDR; Using AWS-SDK v3 allows you to significantly reduce the size of your Node.js Lambda functions. If you really want to know how Aurora works behind the scenes, take a look at this in-depth post by Adrian Colyer. Veer Abheek Singh did some research and found several options for deploying a serverless blog. James Beswick and Richard Boyd teamed up to load test James’ DynamoDB-based geohashing service. There are some interesting findings in here (like write less code and introduce fewer moving parts). Breaking down the Monolith. Considering Serverless! Harish Kumar gives you some thoughts on why serverless is a good choice, but more importantly, where you should start. This is just a short post that documents Arseny Yankovsky’s realization that Java is way too heavy for serverless functions. I included it because I want everyone to realize this. Marcia Villalba shows us how to easily instrument a Serverless Framework application with AWS X-Ray. Remember that API Gateway Serverless Developer Portal thing AWS launch a while ago? It just got better. ALBs are pretty sweet, and now you can use things like query parameters and HTTP methods to manipulate routing. Couple this with AWS Lambdas as the backend, and suddenly this starts to feel a bit like API Gateway. Very cool stuff. Here’s how to use the new features and some use cases for them. You can now download the AWS Toolkit from the Visual Studio Marketplace with support for node.js. It also supports Visual Studio 2019. It’s good to see everyone playing nicely together. Still not familiar with Alexa private skills? Now these voice-powered capabilities for Alexa have a couple of blueprints to get you voice-enabling your business processes in no time. April 8-10, 2019 – The Serverless Architecture Conference in The Hague, Netherlands. I’m giving two talks, so I hope you’ll join us. April 9, 2019 – ServerlessDays Atlanta. This one is combined with DevOps Days and Map Camp. April 25, 2019 – ServerlessDays Helsinki. The speakers have all been announced! The CFP for DevOpsDays Boston 2019 is now open. The last two weeks have been very busy for me, but we finally have the new AlertMe serverless article processing system up and running in production. Lots of interesting lessons learned there, so perhaps, at some point I’ll share all the details. There is always more to do, but our architecture makes extensibility extremely easy. I’m really looking forward to iterating on the live service. Don’t forget that next week I’ll be speaking at the Serverless Architecture Conference in The Hague, Netherlands. I’m giving two talks, Serverless Microservice Patterns for AWS and Building resilient serverless Systems with non-serverless Components. I hope to see some of you there. Please come and say “Hi” if you get a chance. I’ve got plenty of “Off-by-none” stickers to give out.